With a fall of the Caspian Sea level (CSL), its size gets smaller and therefore the total evaporation over the sea is reduced. With a reduced evaporation from the sea, the fall of the CSL is weakened. This creates a negative feedback as less evaporation leads to less water losses of the Caspian Sea (CS). On the other hand, less evaporation reduces the water in the atmosphere, which may lead to less precipitation in the catchment area of the CS. The two opposite feedbacks are estimated by using an atmospheric climate model coupled with an ocean model only for the CS with different CS sizes while keeping all other forcings like oceanic sea surface temperatures (SSTs) and leaf area index the same from a global climate simulation. The investigation is concentrated on the medieval period because at that time the CSL changed dramatically from about − 30 to − 19 m below the mean ocean sea level, partly man-made. Models used for simulating the last millennium are not able to change the size of the CS dynamically so far. When results from such simulations are used to investigate the CSL variability and its causes, the present study should help to parameterize its feedbacks. A first assumption that the total evaporation from the CS will vary with the size of the CS (number of grid points representing the sea) is generally confirmed with the model simulations. The decrease of grid points from 15 to 14, 10, 8 or 7 leads to a decrease of evaporation to 96, 77, 70 and 54%. 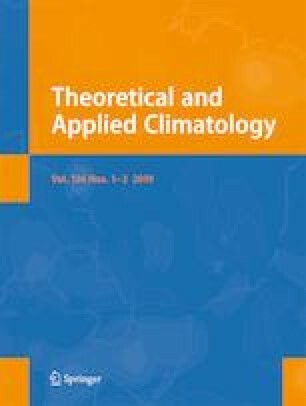 The lower decrease than initially expected from the number of grid points (93, 67, 53 and 47%) is probably due to the fact that there would also be some evaporation at grid points that run dry with a lower CSL but a cooling of the CS SST with increasing CS size in summer may be more important. The reduction of evaporation over the CS means more water for the budget of the whole catchment of the CS (an increase of the CSL) but from the gain through reduced evaporation over the CS, only 70% is found to remain in the water budget of the whole catchment area due to feedbacks with the precipitation. This suggests a high proportion of recycling of water within the CS catchment area. When using a model which does not have a correct CS size, the effect of a reduced CS area on the water budget for the whole CS catchment can be estimated by taking the evaporation over the sea multiplied by the proportional changed area. However, only 50% of that change is ending up in the water balance of the total catchment of the CS. A formula is provided. This method has been applied to estimate the CSL during the Last Glacial Maximum to be at − 30 to − 33 m.
The experiments show as well that the CS has an impact on the large-scale atmospheric circulation with a widened Aleutian 500 hPa height field trough with increasing CS sizes. It is possible to validate this aspect with observational data. We are grateful to the National Center for High-performance Computing/Taiwan for computer time and facilities. We thank Reviewer no. 4 for his constructive suggestions, which led to improvements of the manuscript. This study was supported with funds from the project MOST/TW 103-2621-M-005-003, 104-2621-M-005-006, 105-2621-M-005-001, 106-2111-M-005-001 and 106-2111-M-002-001.